Although ‘commitment’ is a word that many often shy away from, I have never been so humbled as I am when I work with small and medium business clients who work around-the-clock to satisfy their customers, stay in the game, and try to reach their goals of success. What strikes me as ironic is that these companies, which show such a deep commitment to their overall success, often feel that when it comes to marketing and advertising, they should expect quick and immediate results. Although the media we use today have the ability to promote our brands and spread the word almost instantly, many SMBs have come to expect a return just as quickly. However, in truth, we need to be realistic about our commitment to our marketing strategies, and trust that it takes time to see the return on our branding touch points. Here are a few tips on what processes and possible pitfalls you need to consider when reviewing the ROI of the tactics outlined in your strategic marketing plan. No matter how small the marketing tactic, make sure you have a detailed timeline which outlines development time, implementation time, expected results vs. actual results, as well as roles and responsibilities. Assign an internal resource to manage and measure each campaign. If you do not have an internal resource, hire an external marketing company to take care of this for you. Ideally, you should have weekly progress reports to see how each marketing tactic is faring. Depending on the length and type of campaign, with a weekly report you can adjust the tactic to impact the results. All tactics need to be tied to your strategic marketing plan, which is then tied to your business plan. In other words, an online campaign and an email blast may produce some immediate outcomes, but make sure they support your brand message, and are sustainable for the long term. ROI requires actual measurable results, make sure you have these, and know where to access them, so you can determine if they were in fact success or not. For example, if you are running an awareness campaign, how will you measure its success? It takes time to build an online presence, so assess the results of each campaign to determine whether it has helped you to achieve your objectives. For example, one online campaign may not yield results, but if it was inline with your brand and your target audience, then consider another type of online campaign. Protecting and promoting your brand through marketing strategies is a full-time commitment. In a world of known brands, SMBs must be particularly diligent in continually publishing positive company information, keeping your brand in front of your customers, defining your uniqueness in the industry, and measuring your ROI. As your brand grows, so will your company’s success! Is your business committed to marketing? If so, how has this played out in your business? Please share your questions and comments below. Following last week’s blog about how to increase sales, I received some great feedback, specifically regarding checking out your direct competition, and so I decided to focus this week’s blog on getting to know your competition. As the old expression goes: “Keep your friends close and your enemy even closer”. As a small or medium business, knowing what your competition is doing will help you to define your competitive edge, determine your marketing strategy and plan for what types of tactics will be successful for you in increasing your sales and long term growth. Competition research and assessment doesn’t need to be complicated, but it can be tricky and time consuming, so you might want to consult with a marketing expert to help you. If you have the time and resources, here are a few tips I’d like to share with you on what should be included in any good competitive analysis. 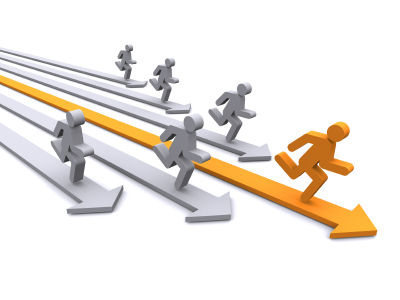 Write out who your direct competitors are that largely mirror the products/services you offer. You cannot strategize and learn about your competitors if you don’t clearly establish who they are. Consider adding companies that may indirectly compete with yours, but offer products/services that address the needs of the same target audience. Also, include here where your competitor is located, as geography also plays a role in direct competition. No competitive analysis would be complete without a SWOT analysis to analyze the Strengths (S), Weaknesses (W), Opportunities (O) and Threats (T) of your company and competitors. “Strengths” facilitate business growth, whereas “weaknesses” are factors that hinder business growth including low quality products or services, poor customer service, etc. “Opportunities” and “threats” are external factors that can hamper your business’s performance, including (1) economic forces; (2) social, cultural, demographic and environmental forces; (3) political, governmental and legal forces; (4) technological forces and (5) competitive forces. Take the time to look at if the company is expanding or cutting back. What are the company’s marketing activities?How do they market and advertise their businesses? Look at materials like their quarterly and annual reports, press releases, interviews, website, and SM sites. The annual reports will give you an idea as to their annual sales, and possibly their pricing structure. Check out their SM networks, and see who they are talking to, and what they are talking about. You should be able to determine what their target audience is and what their competitive advantages and disadvantages are compared to your business. All this valuable information will help you form a clear picture about your competitors’ objectives and strategies. You will have covered some of this in the SWOT analysis, but make sure you’ve looked at the growth potential of the market. Consider whether you have the technical, marketing, or engineering expertise to capitalize on the market’s opportunities to grow your business. Is the market concentrated or fragmented? As a result of your businesses competitive analysis, you can identify competition, what their planned strategies are, and how to capitalize on your business’s distinctive competencies to achieve business growth. If you invest in marketing without performing a competitive analysis, you run the risk of creating marketing tools, and product/service offerings that are way off the mark. This can cost you valuable time and money. Another great saying comes to mind: Knowledge is power. Knowing what your competition aren’t focused on can be very powerful by helping you develop a strong marketing strategy, and dynamic branding with targeted activities that will increase your sales and ROI. Do you have any questions about how to conduct a competitive analysis? Have you ever conducted a SWOT analysis for your business? If so, was it helpful? What has your experience been in gaining the competitive edge? Please share your questions and comments below. 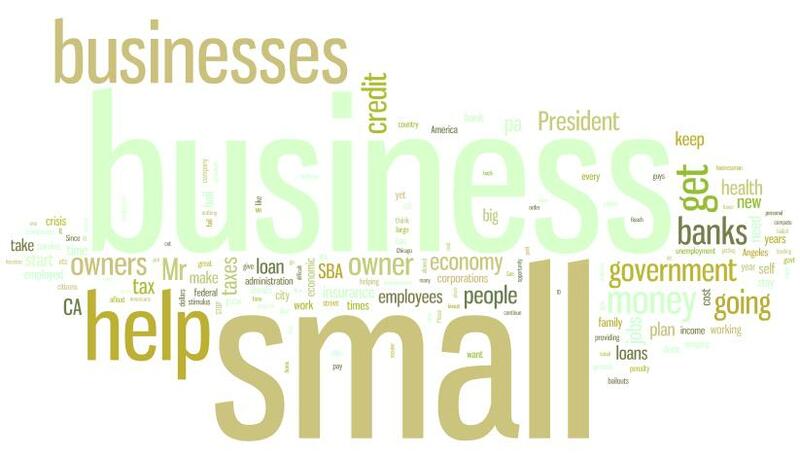 It is often small and medium sized businesses that need to increases sales the most. The dilemma? It is because of their small/medium size that these businesses often do not have the resources to do so. As such, how do you increase sales when you have little-to-no budget to spend? Without a sales team, or the internal resources to invest in costly advertisement campaigns, the SMB owner must be savvy about how they invest, as the bottom line is directly impacted in every marketing spend. The answer to increasing sales is improving your marketing. Although marketing and sales are not the same, they have a symbiotic relationship that is key to the success of your business. Marketing is everything that you do to reach and persuade prospective clients. The sales process is everything that you do to close the sale and get a signed agreement or contract. To move a prospect from marketing to sales, you’ll need to develop a plan that combines both sales and marketing. This will enable you to reach prospects at all three levels: cold, warm, and hot. As an owner of a marketing agency that specializes in helping small and medium sized businesses increase sales through the development and implementation of a marketing strategy, I’d like to share with you a few tips on what should be included in your marketing plan, as it specifically relates to sales growth. Always know what your competition and industry are doing, to help assess what is working, and what isn’t. For example, if your competitors do not use social media, that might be an area in which you could shine. We have a tendency to want to promote everything; to set out the largest net, so to speak. To increase sales, however we want to direct our prospective buyers to a simple “yes” or “no” decision. You can do this by developing separate promotions for each product or service you sell. Or, you can combine several products and services into one package for one price. In any case, always make your prospective customer’s buying decision a simple “yes” or “no”. It produces the maximum number of sales. Tell your potential customer upfront what the biggest benefit is of your product or service. Leading immediately with your biggest benefit captures your prospect’s attention, and provides a compelling reason to continue reading or listening to your message. People buy from people they feel they know, so develop a personalized sales message for each product or service, and tailor it to the specific interests of prospects in each market you target. If you are talking to the 18-24 year olds, use terms and a style that they can relate to. Generate more sales by telling your prospective clients exactly how your product or service operates in real life – share real-life examples and standards! For instance, “Our Emergency Response Team will respond within 30 minutes”, or “Available 24 /7, or the repair is free”. This differentiates your service offering AND motivates prospective clients to call you, by showing that your promises aren’t simply online fluff – they’re the truth! To give your clients that personalized approach on your website, and in all online marketing, create a landing page on your site that is specifically customized to your audience. For example, if you have an advertisement for school supplies, link that ad to a new page on your site that speaks directly to this audience. When considering any marketing tactics, ensure that there is proper tracking and measurement in place. How will you know what your ROI is on any campaign if you do not track it? Every campaign you create must have a measurement in place before it is launched. Measurement forces you to outline your expectations and goals for your campaign. 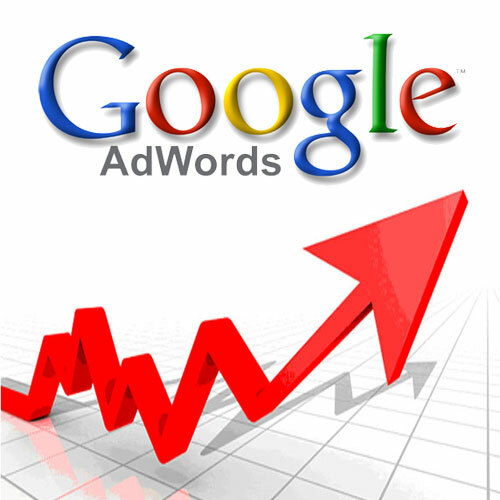 For example, when placing an online advertisement, your goal might be to generate 15 leads and 2 new clients. The measurement should tell you not only if the campaign reached your goals, but also if it should be considered next year, and highlights any opportunity for improvement. With a strong marketing strategy, you can create a robust marketing and sales plan that will increase your sales. 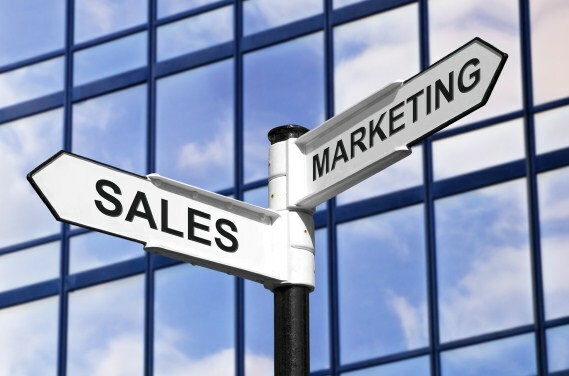 Do you have any questions about the difference between marketing and sales, and their differing tactics? Do you have any other marketing or related questions for me? Please share your questions and comments below. In last week’s blog, I discussed the advantages of using video in your marketing efforts, including outlining the video process, and how long a production may take to create. As a follow up to that blog, I have dedicated this week’s blog to answering questions regarding budget-related costs associated with video production. As the owner of a marketing agency with a full service video production company, and over 13 international video awards, my clients often ask me how much producing video costs, and how these costs are determined. I’ve shared my answers to those questions below. Costs are very much dependent on your needs. Every video is customized and unique, and as such, production costs vary widely according to the video style, and the time spent writing, shooting, and editing the final product. If you plan to buy TV airtime, or buy online advertising to showcase your video, this will also add to your costs. Have a budget in mind, and then discuss it with your agency to see what type of video can be produced based on this budget. You should be able to reduce your budget if you can share some of the responsibilities, like writing the scripts, or providing images. Be realistic about your expectations. Do not expect to pay a semi-pro rate and get a professional product. Cheaper is usually not better. What Drives the Cost of Video? Understandably, I get this question all the time. 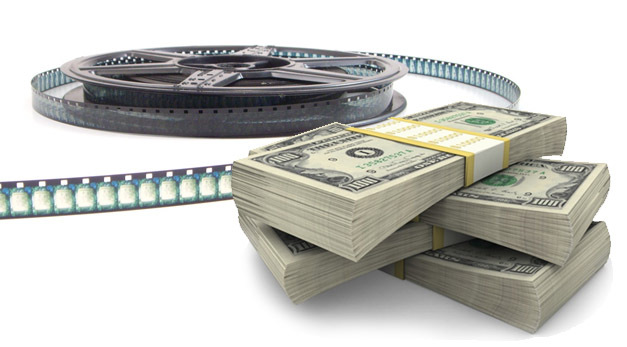 There are three basic factors that drive productions costs. These factors eventually get reflected in dozens of budget decisions that impact the quality of the final product. Time. Time spent increases costs. The more time that is spent in pre-production, scripting, location scouting, camera and equipment used, number of locations, days shooting, size of crew required, special effects, and editing, the better the final product will be. Reduce the number of locations, for example, and this is reflected in the cost. Talent. The greater the talent of the people working on the project (crew, director, producer, editor and on screen talent), the better it will be. In online video production, as with most things in life, talented and experienced people tend to cost more. Use in-house talent, for example, and this will be reflected in the cost. Tools. Understand what type of camera is best for your shoot requirements. Small DSLR cameras make beautiful footage, but they fall short in many areas, and therefore may not be right for your shoot. High-end cameras with professional lighting kits, sophisticated post-production motion graphics, and animation will also add to your cost. If I only want a 30 second video, is that cheaper? The truth is that the final length of the video is not directly proportionate to the cost of the production. Consider TV commercials, which are usually created in 30 second time blocks: the production cost alone may be well over $25,000, even though it is only 30 seconds long. Why? Because the project still required planning, scripting, a talented team, professional tools, etc. So even if you reduce the final video time to 30 seconds, it does not mean the costs will be lower. That being said, you would be able to save costs in the “time” side of things as outlined above. What is included in the production costs? Production costs will be itemized in any video proposal sent to you, but they can include everything from initial research and concept development to scriptwriting, shooting, editing, graphics, music and narration. Duplication of CDs, DVDs or USBs is usually not included. Again, discuss what items you will be responsible for and what you need your agency for and then they can send you the itemized costs and responsibilities in their proposal. I have outlined for you what you can expect from a professional and experienced video production company. Although you can produce videos from an iPhone, or use free editing software on your computer, please be aware that you do get what you pay for. As a business professional, consider video to be yet another professional service, as you would your accountant. Video is a powerful medium, as I have said many times: it has the power to influence clients by going viral and driving your brand and ROI. However, if done unprofessionally, it also has the power to leave a negative impression in the minds of your potential clients. Do you have any questions about using video in your marketing? Do you have any other costing questions for me? Please share your questions and stories about producing video in the comments below.